Google AdWords is by far one of the most effective ways to reach new clients on the web. Because of its broad reach and popularity, it’s more important than ever to have the right team managing your AdWords account—particularly, one that has reached the coveted status of Google-certified partner. The internet is full of resources concerning the best ways to maximize Google AdWords efficiency and ROI, but no one knows the service quite like the experts at Google themselves. Except, of course, the people they train directly: Google-certified partners. At Brad Hart Creative Group, we’re proud to be included in this exclusive program. It requires an in-depth certification process that involves proving expertise in AdWords, showing real-world experience with the service with real-world clients, and demonstrating the ability to deliver strong and consistent growth among both their own client base and clients’ businesses. Because of our ongoing education and hands-on experience—not to mention our track record of success—we know what separates good campaigns from bad campaigns, and that means greater ROI in less time for business owners like you. Because of Google AdWords’ popularity, there are countless numbers of freelance and marketing firms that promise big results. In addition, some businesses utilize in-house digital marketing specialists to handle their AdWords campaigns. 1. Campaigns run by Google-certified partners get better results – Google AdWords is a highly competitive market. Not only are you competing against other businesses in a very crowded arena, but you’re also competing against their teams of digital marketers. Having a Google-certified specialist running your AdWords campaigns can give you a big advantage, as they’re armed with information and techniques that are more up-to-date and more effective than their competitors. 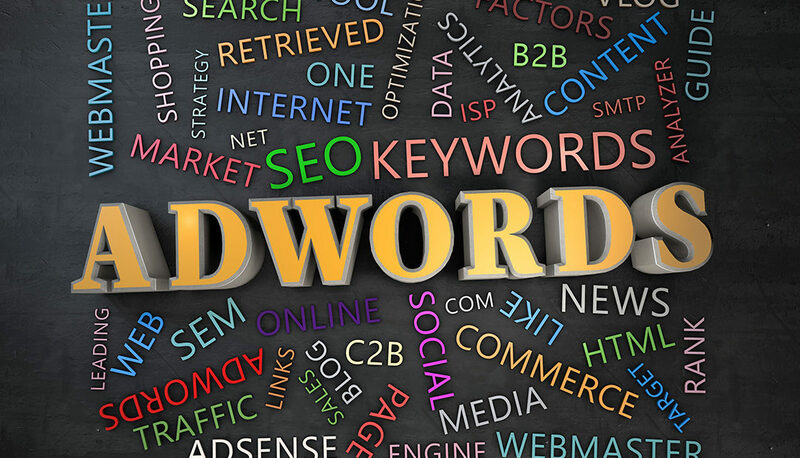 In addition, AdWords isn’t a “set it and forget” type of marketing approach. It requires constant upkeep, maintenance, and research to maximize its potential. With a Google-certified agency on your side, you’ll know that you’re getting around-the-clock campaign management that’s designed to get you the absolute best bang for your buck. 2. Expertly crafted and managed AdWords campaigns drive new clients to your business – A huge percentage of potential clients in your area use the web to find you, and having an effective AdWords campaign is one of the best ways to reach them. A great campaign is the equivalent of having a billboard that can constantly change to best appeal to every person who sees it—but only if its set up properly and by those who know how. In the hands of experts, AdWords can transform your business and your revenue, but in the hands of novices, it can be ineffective and even detrimental. At Brad Hart Creative Group, we know that every detail matters when it comes to creating conversions. We don’t just settle on strategies that are somewhat successful or that increase your website’s traffic by a small amount. We continue to push the envelope in an effort to make your business stand out in your crowded market. 3. An agency AdWords specialist will have a deeper understanding of your business and industry – A big aspect of every Google AdWords campaign is testing and experimentation. Whether it’s honing in on the right strategies or knowing how to quickly spot normal and abnormal performance results, agencies have experience where it counts—especially if they already handle other aspects of your online presence. By eliminating or reducing the time-consuming trial-and-error aspect of AdWords campaigns, the chances of maximizing your ROI improve and you’ll see results faster. In addition, the most effective AdWords campaigns are holistic in nature, which means they take into account every aspect of a business’s industry and marketing strategy—and who knows those better than the agency and its team of specialists who handle your internet advertising? 4. Agencies have more hands on deck to identify problems and generate solutions – Effective AdWords campaigns aren’t one size fits all, and they don’t always work “out of the box.” Freelance or in-house AdWords specialists may have more limited options, whereas agencies often have multiple specialists or employees with experience with AdWords campaigns. In addition, agencies also often have close relationships with consultants and other marketing firms, which means additional expertise can be used to quickly fix any issues that arise and find opportunities to optimize ROI. Another advantage is adding fresh eyes to your campaign strategy over time. It’s easy for people to fall into familiar routines, especially when strategies are proving effective. But there’s almost always room for improvement, and having multiple people tracking your AdWords campaign over time means there’s less opportunity for potential optimizations to fall through the cracks. 5. Agencies and their teams of specialists provide ongoing support, education, and feedback – Agencies work hard to stay on the forefront of new technology and software, especially when it can be beneficial to their clients. And because Google constantly updates the way AdWords works, it pays to have people who eat, sleep, and breathe pay-per-click (PPC) advertising. Agencies also recognize the value in helping their clients understand the value of digital strategies, including AdWords, so that means you won’t be left in the dark when major changes to the platform are rolled out by Google. Finally, having an agency handle your AdWords means you’re a quick email or call away from getting valuable feedback about how your PPC dollars are performing and the ROI of your latest campaign. Ready to Take Advantage of the Power of Google AdWords? At Brad Hart Creative Group, we’re passionate about advertising on the web. It’s our goal to be your one-stop shop for all things internet marketing, including creating powerful, effective, and cutting-edge Google AdWords campaigns that will get your business noticed and give you a major edge over your competitors. Contact us today to get in touch with our AdWords specialists.